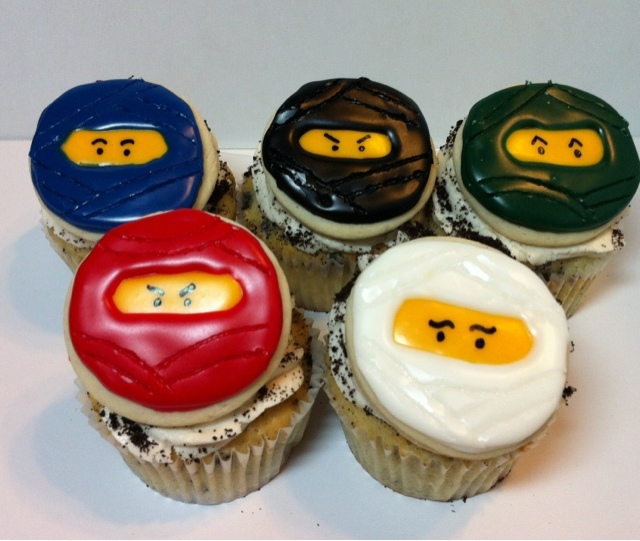 These cute mini sugar cookies were decorated to look like Lego Ninjago characters. I made Cookie Monster Craving cupcakes (aka cookies and cream) and we put these mini sugar cookies on top. 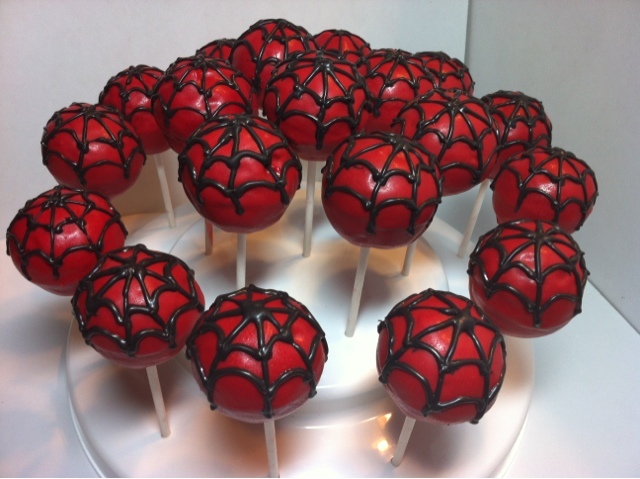 These cake pops were for a little boys birthday who loves Spiderman. I dipped them in red and hand drew the black web! I loved how they came out. I made two extra for my boys to enjoy for dessert! 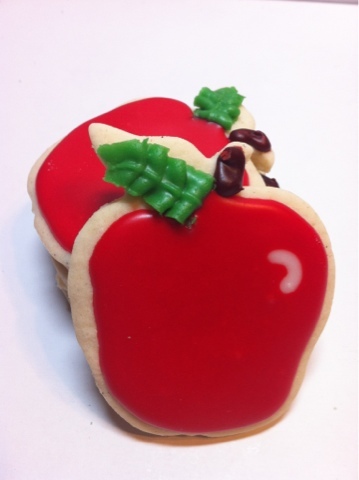 Here are a sample of the 5 dozen apple cookies I made for a local boutique here in Midland, TX! 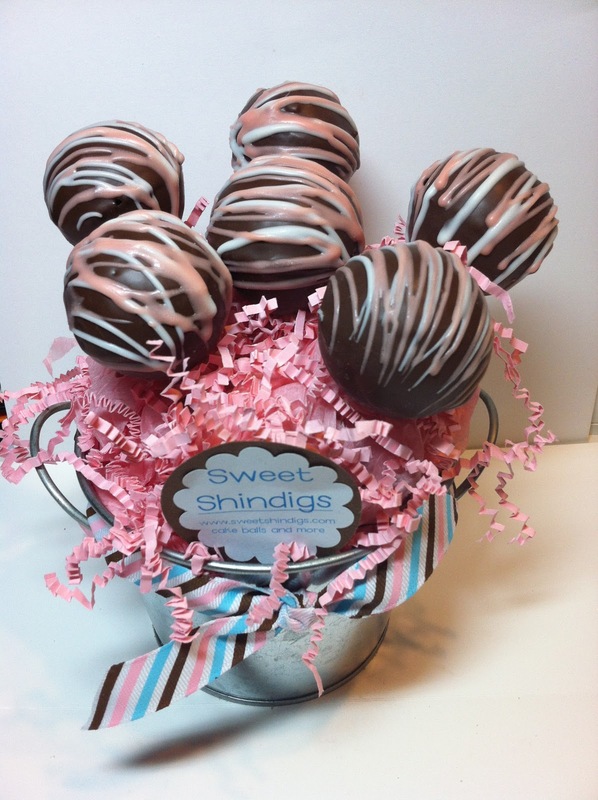 Pumpkin Spice and Chocolate cake balls for a baptism celebration. 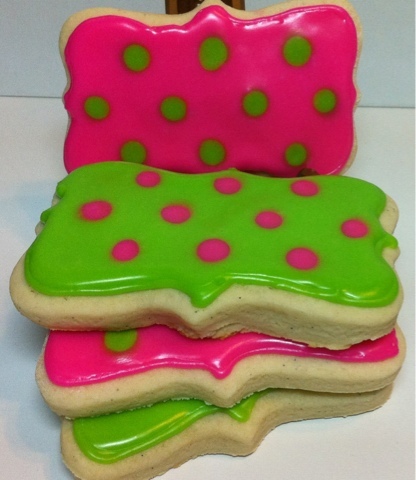 Cookies for a First Birthday Party. 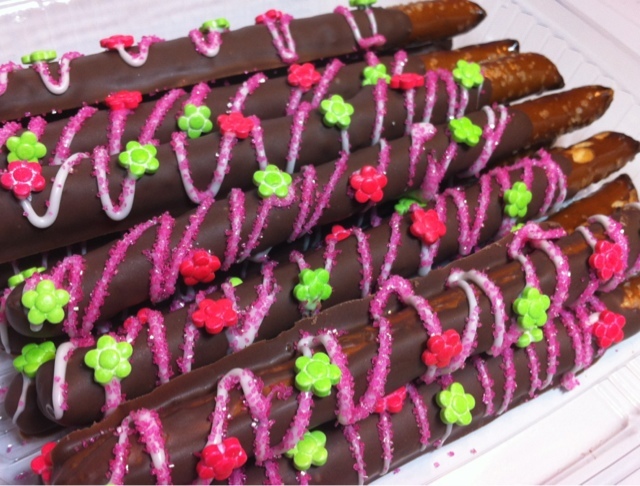 Chocolate dipped pretzels were also made to make the birthday party colors. Seems like people are really enjoying my muffins! I love it. 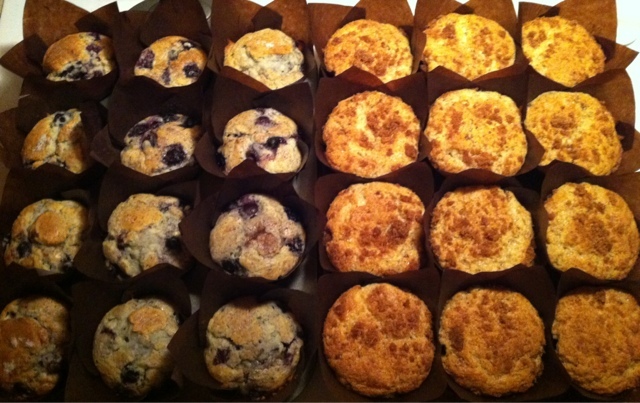 These are cinnamon streusel and blueberry. I must admit the blueberry is my mother in laws recipe. 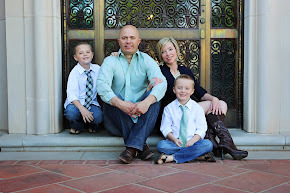 I can't take the credit for them. We have them every Christmas morning! 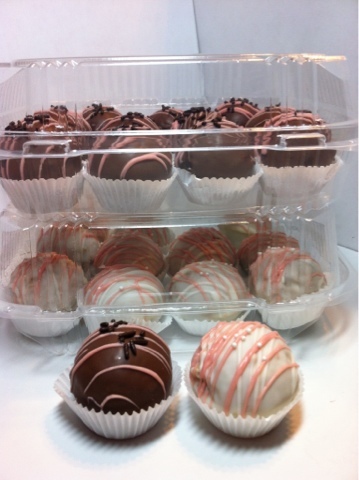 I hope my client enjoys these this morning! This is stage one for these cookies, but I like them just like this too! 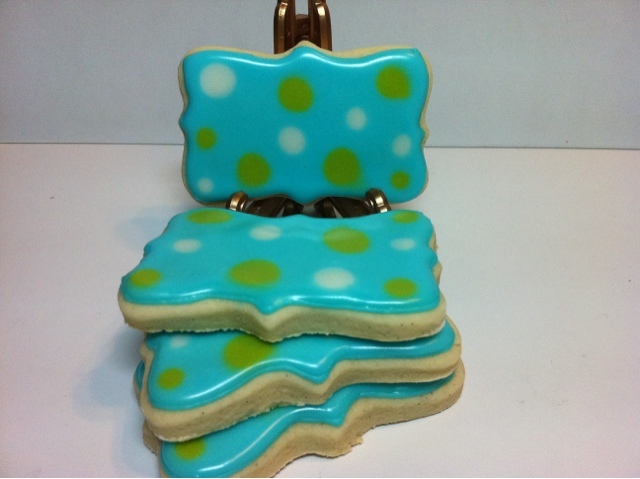 I made these random size polka dot cookies to match napkins for baby shower. Yummy sausage rolls heading to a local oil company along with some other yummy muffins and fruit for a morning meeting. 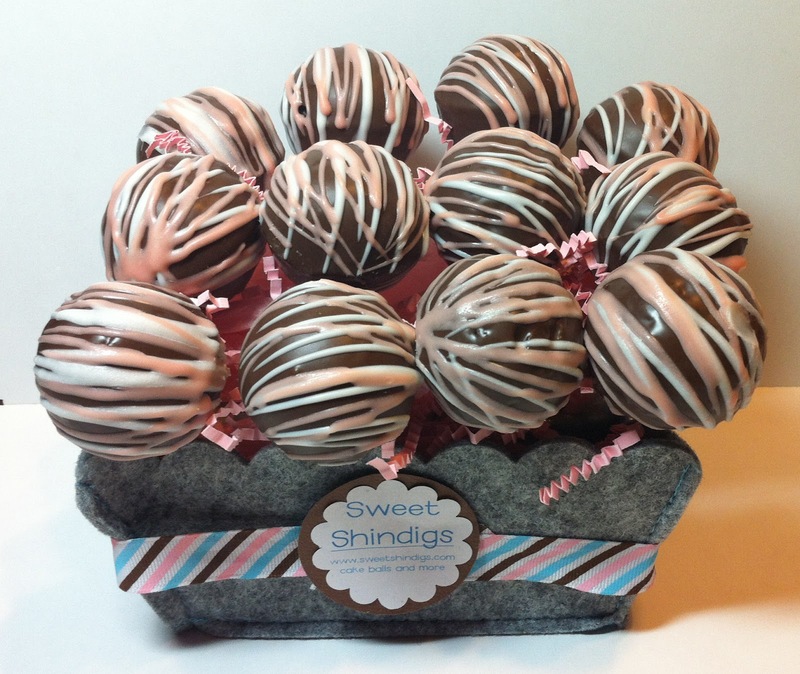 Chocolate Cake pops with two color drizzles. 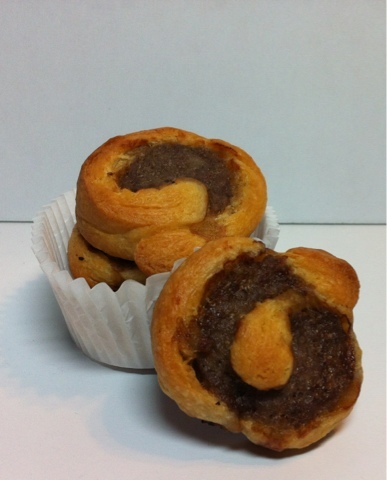 Need some Breakfast Treats for your next morning meeting? These Large Size Muffins! Printables were by Poofy Prints. We set up outside a conference room. We had Popcorn, Rock Candy in Sixlets, and Spicy Pretzels. Those spicy pretzels are everyone favorite afternoon treat! Yum! Marshmallows dipped in yellow sugar sand. I love my yellow and white striped cups from Sweet Lulu. 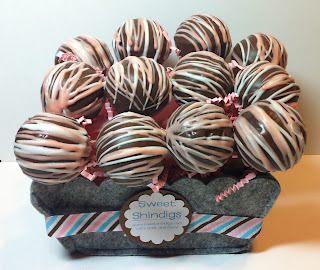 wrapped in Poofy Prints printables. 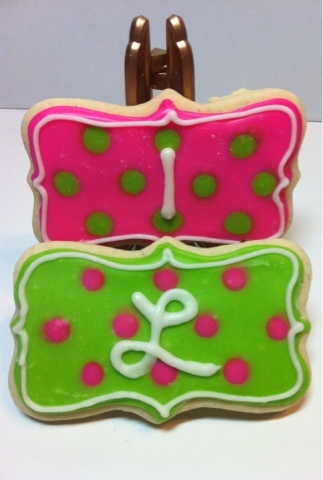 Sugar Cookies with the letter "M" to represent the baby's name. 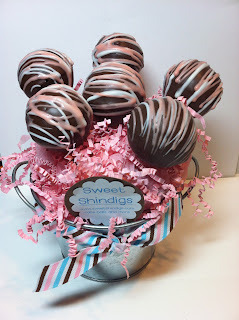 Living here in Midland, TX I have had several requests to see if I can do some Oil Field themed sweet treats. So, after looking at several different images of pump jacks and oil derricks I came up with these images. I thought they got the idea across and they were easier enough for me to hand draw 24 of these with royal icing.